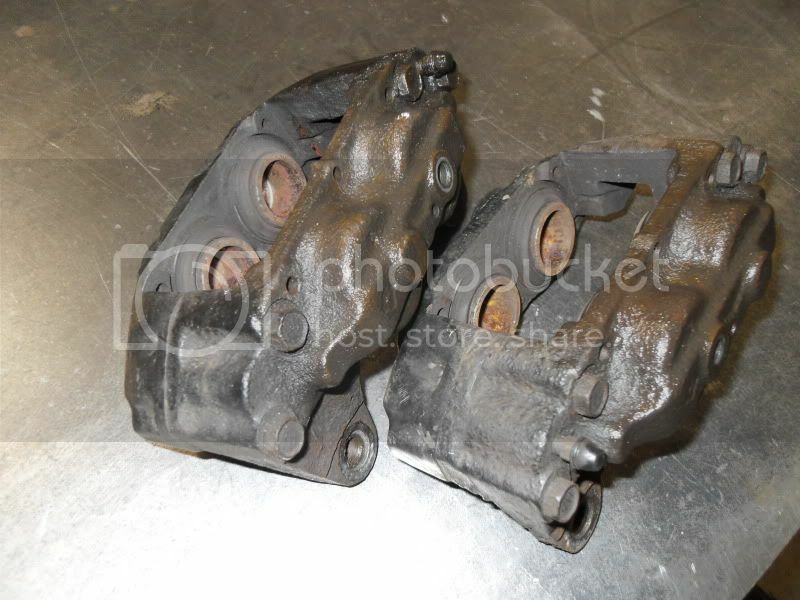 No we cannot accept calipers back with any damage to the castings , its not fair on the next customer who has them , if I doubt they would accept them. Ok, yes I totally understand. So how much is it to refurb mine then ? 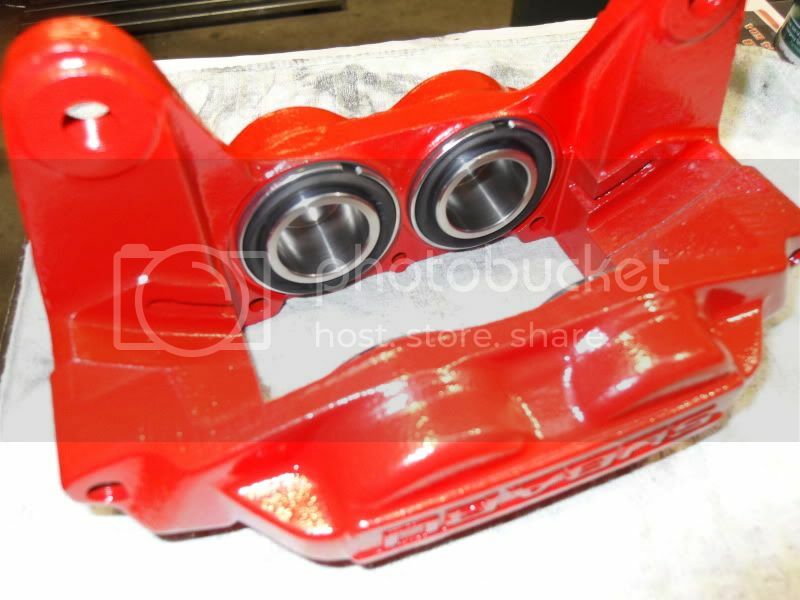 To recondition Brembo and AP 4 & 6 pot calipers we charge £75 each to completely strip them down , paint strip if needed , bead blast , prime and spray them , chemically clean the seals , polish the pistons , and rebuild them , if the seals have any damage , they are changed which costs extra , seals start at around £25 per caliper. Last edited by Godspeed Brakes; 14 August 2011 at 10:13 PM. 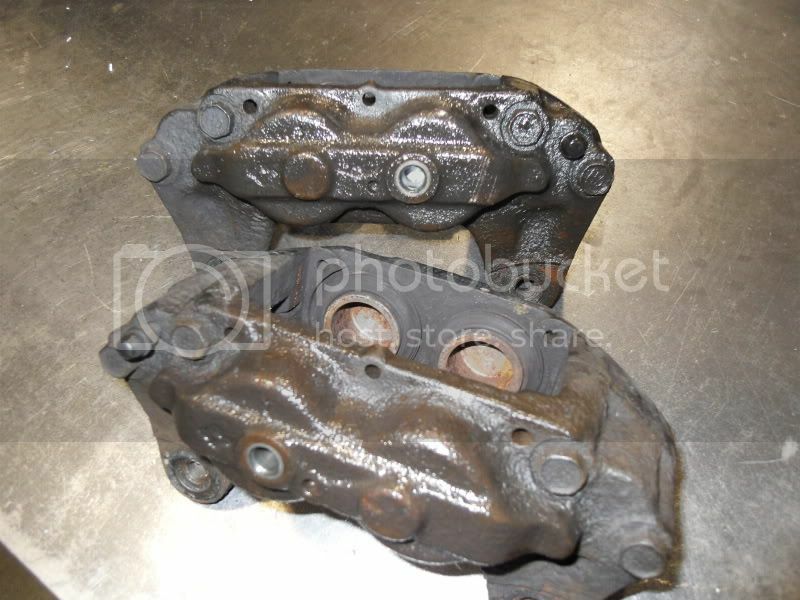 I am currently stripping down my 4 pot front + 2 pot rear calipers to replace the seals and piston's. When stripping down i have noticed that the seal between the two halfs of the calipers are worn. 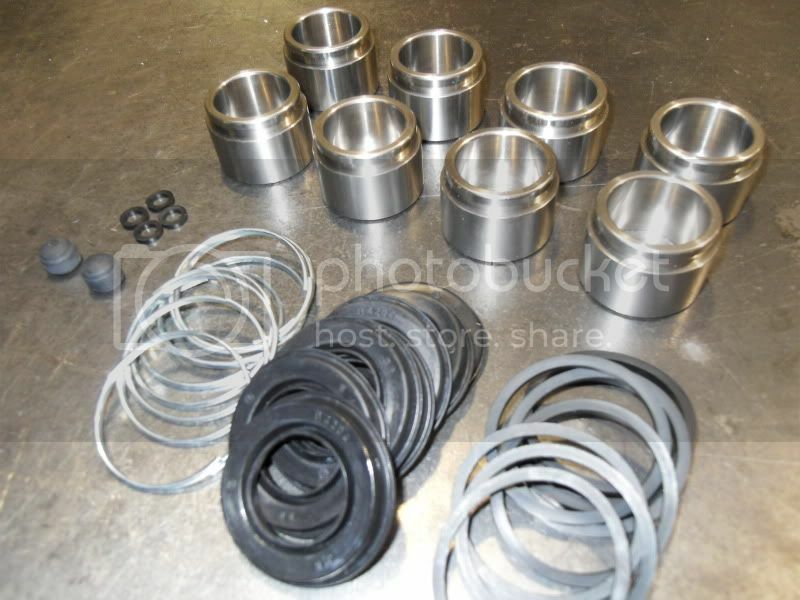 Does any one know where i can get new seals for that part from. 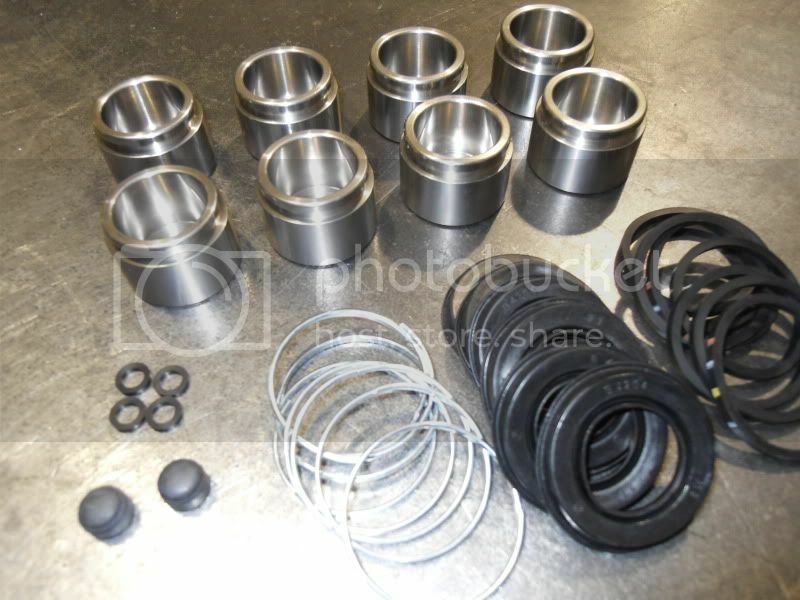 Hi Ian, could you give me a price for refurb of Subaru 4 pot fronts, and 2 pot rear please, painted black. Thanks - and sorry if this has been asked before, what about shipping costs, is that included? Or can you recommend a courier? Posting from London. Hi Ian, im curious how much it would be to refurb and paint a set of 2 pot floating calipers off a twinscroll legacy. one kept seizing, thats when i bought the AP calipers off you a while back. thinking of getting these refurbed and sell on. Also do you do any grooved 316 x 30mm discs? im sending my AP racing front brakes to you for a recon and painted. i also need discs(304mm) and nut/bolt set for them. is there anyway of upgrading the size of disc, would it be worth it? can you paint the bells for me also. how much would this be in total? p.s should be posted be Friday, how long do the take after receive by you? Last edited by JEBTHE1; 25 January 2012 at 08:38 PM. Yes we can recondition your calipers , they would be £235 a pair inc stainless steel pistons and new seals. if you have 17" wheels , I can make you a 330mm disc to fit your bells along with spacers to fit between your calipers and bracket to fit them , this is a worthwhile upgrade and something I would recommend. We wouldn't spray the bells , painting them never seems to last , we always anodise them , but then you can only do them from new , if you try to do old ones they never turn out nice. Last edited by JEBTHE1; 26 January 2012 at 09:44 AM. Can you refurb and paint calipers in 1 day if i drop my car off to you? Also do you paint centre wheel hub? My Brembo's are on the way to you Ian! TNT collected this morning so you should have them tomorrow. They are back, cheers guys, top job! I'm glad they are not in the workshop anymore , I don't have to wear my sun glasses now lol , they are bright ! They look awesome to be fair!! Thanks, they look brighter in real life, the picture does not do them justice. Hi, Do you have any sliding rears from a 1999 STI (think they're the same as P1) in stock? Blimey that was quick, didn't realise you were open 24/7. I'll give you a call with a card later this week. Hi Ian, I am not satisfied with the finish of my black K-Sport calipers - the brushed satin effect is far too dull and they are just out of the box, so the future is bleak. Are you able to paint them gloss? Thinking black, red or yellow. Calipers are not in need of refurbishment - colour only. How much would you charge? 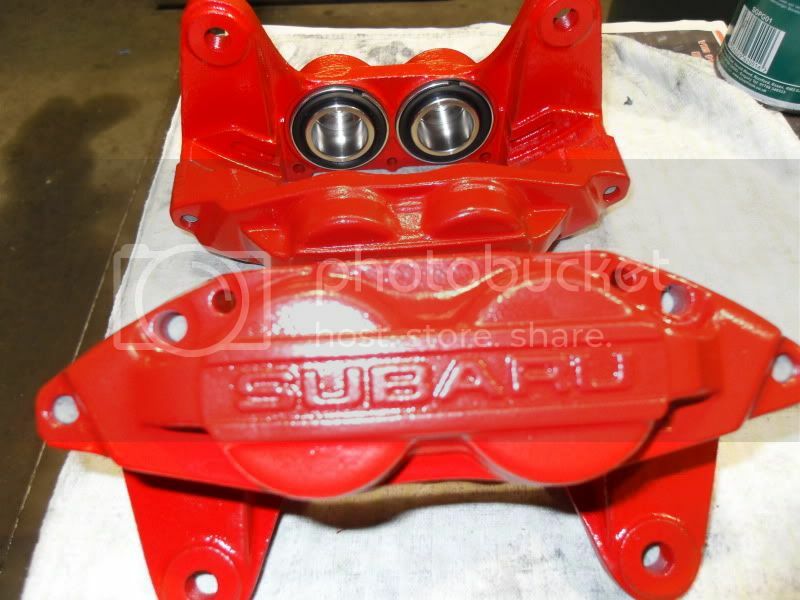 I would also need to have the rear OEM Subaru calipers painted to match. 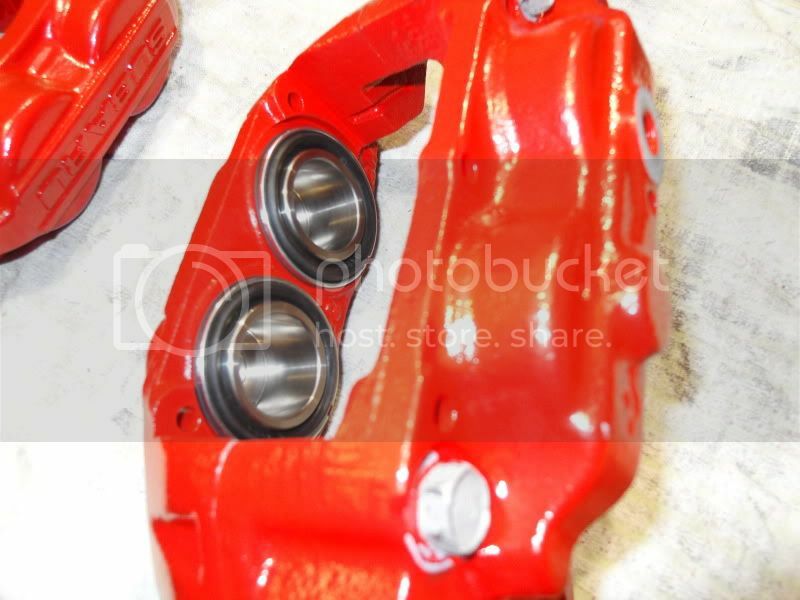 Yes we can do that for you , done a few sets now , we charge £75 per caliper to strip them , bead blast , prime and spray them any colour you want , chemically clean the seals and polish the pistons and rebuild them back up.